Image Courtesy Interscope RecordsRico Love‘s “Somebody Else” is just one of the many honest songs written from personal experience on his newly released album, Turn the Lights On. 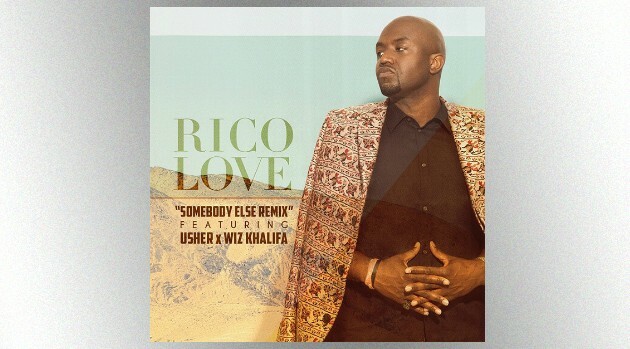 While the official remix features telling lyrics from Usher and Wiz Khalifa, Rico tells ABC Radio Chris Brown also could have offered up his recent experiences. “I would of loved to hear what Chris Brown had to say on that record as well, because that would of been so honest, that would of been so passionate, you know, and that’s what music should be about,” Rico says. After the revamped single surfaced last month, the singer confirms that Usher was absolutely recalling his experience with his ex-wife, Tameka Raymond, on the track. He adds Wiz Khalifa also came up with passionate verses about his estranged wife, Amber Rose. Rico, who’s previously written hit songs for everyone from Beyonce to Mary J. Blige, reveals that being vulnerable on his 12-track album wasn’t an easy feat, especially since it was written about an ex-girlfriend. However, he found inspiration in other artists whom he feels consistently create honest records. Rico’s debut album, Turn the Lights On, is available now.